View looking up Bigelow Blvd. 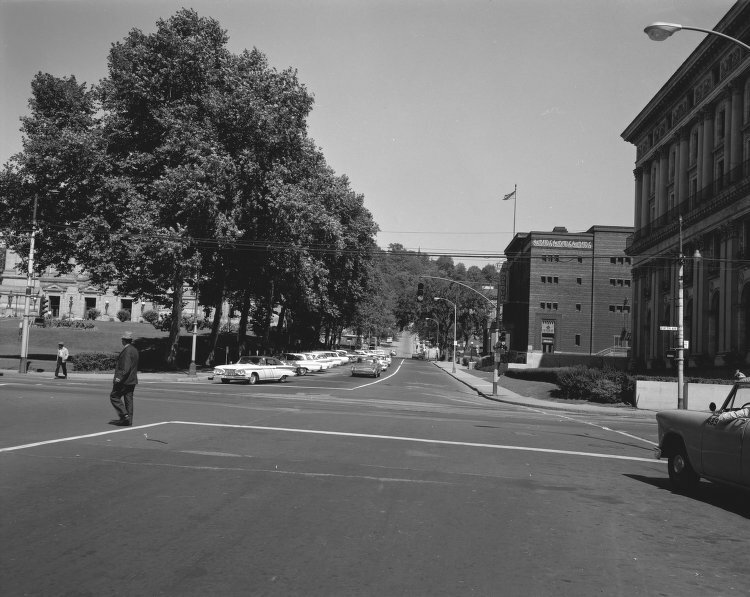 at Fifth in 1964. The Syria Mosque is in the center right of this image.